It takes more than a little bit of snow to keep the Riot Squad indoors on a Saturday night when there’s live music to be found. 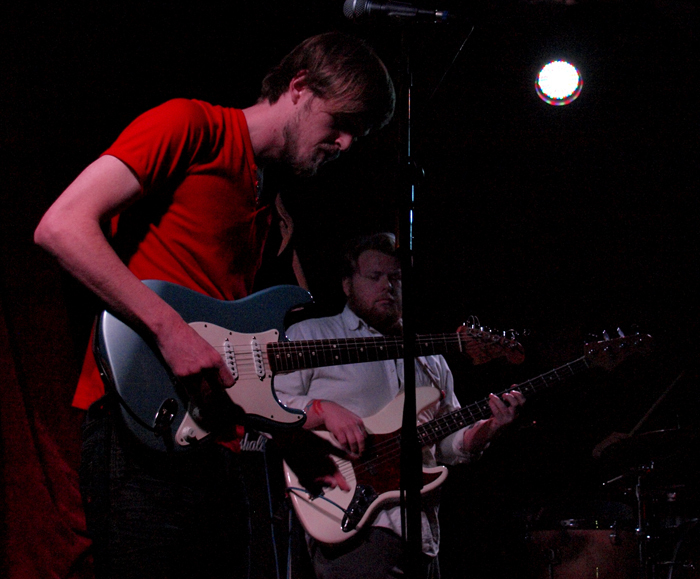 So, last weekend we were at The Finsbury, on the edge of Finsbury Park to check out the Emile Gerber Band. The Finsbury’s easy to find; it’s about fifty metres away from Manor House station on the Piccadilly Line. The venue’s a bit of a work in progress at the moment, but the atmosphere’s good and the crowd appreciated the quality of the all the bands on the bill. The Emile Gerber Band is a relatively recent addition to the London live scene and, after this very brief set, I’m certainly keen to hear more. Emile Gerber is a very, very good blues/rock guitar player who plays in an authentic blues style without resorting to the clichés that players in this idiom often fall into. As if that wasn’t enough, he’s also got a strong and distinctive voice which works very well with his songs and guitar style. This short set featured mainly original material, including “Don’t Do As I Do” and “Well Well Well” and a cover of the brilliant Neil Young song “Ohio”. The originals sound polished in a way that only comes with plenty of practice and a lot of natural ability as a starting point. I expected “Ohio” to be a bit harder than the version I heard here (it’s a pretty angry song, after all), but it still sounded good. After this gig, I’ll certainly make the effort to go and see the band (or one of Emile’s acoustic performances) in future. I’ve got an interesting little observation for you as well. The males in the Riot Squad at this gig were enthusing about Emile’s guitar playing, while the females were more impressed by his voice. That’s either a bit of gender stereotyping, or Emile’s got something that works for everyone. I’ll certainly be back for another listen.